We offer contracts for 6 months or additional discounts for 12 month contracts. 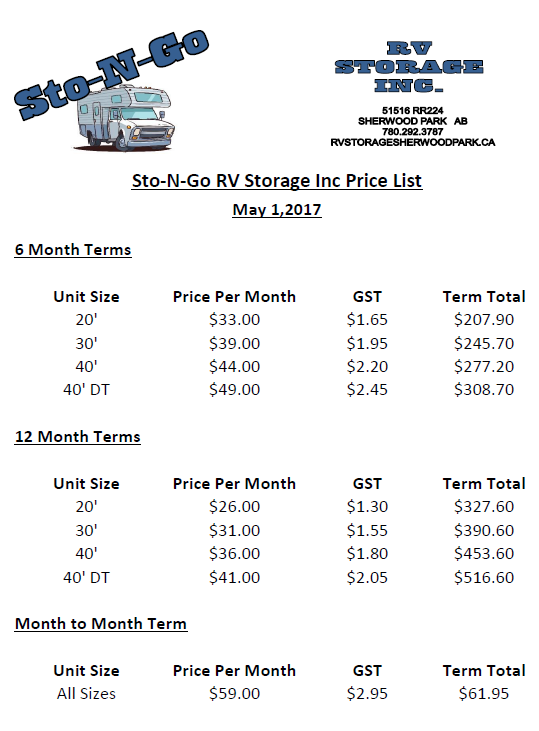 Also save an extra 5% on your storage bill when reserving multiple spaces! Online payment processing coming soon!